IA Failure at Mercy Ohio: What does it really mean? - ONRAD, Inc.
06 Jun IA Failure at Mercy Ohio: What does it really mean? Over the past year, a lot has been made of the IA take over of the radiology services at the Mercy Hospitals in Ohio. Albeit, much of the noise has come from the Forums on Auntminnie. With the recent news of their confirmed failure, the entire model of national groups taking over radiology contracts is being questioned. Whether the arguments are legitmate or not, it certainly allows for some interesting conversations and more importantly, it’s an opportunity for the successful groups to take a deep look and ensure they don’t end up like IA. Now, why did IA fail? Simply based on the forums and other various media, it’s fairly simple. First of all, IA simply couldn’t deliver on their promises. The most significant failure was their inability to recruit quality radiologists. Afterall, the radiologists on the ground are your first point of contact and represent your group. As a result of their recruiting issues, IA was forced to utilize teleradiology services to cover much of their daytime volume. This is one of the biggest knocks against companies trying to manage a contract from a distance. According to the media, this simply never got fixed and the service levels were negatively affected as a result. The other component to the failure at Mercy was the way in which the hospital administration made the change. To say the least, the takeover was hostile and left the incumbent group without options. This kind of treatment certainly didn’t help IA when they arrived. Stumbling upon arrival only made it worse for IA. #1 When considering a change, quality of service must always be at the top of the list. If a provider is promising the world, and the financials just don’t make sense, then you can be sure corners will be cut to keep the account profitable for the provider. #2 Experience matters! When exploring groups, local or national, experience matters. Most experienced groups would avoid taking on new contracts that don’t fit into their service capabilities. A newer or less experienced provider may take any new contract just to close a deal. #3 Relationships with the entire medical staff are critical. The decision to bring on a new group should include the entire medical staff, not just the administration. Once their is a unified decision, the medical staff will more than likely be more supportive throughout the transition. As a provider of on-site radiology services, we always ensure our potential partners consider these simple factors. If we’re not aligned from this standpoint, often times, ONRAD will not pursue the partnership.  For ONRAD, this is our reason for success when provide on-site and/or teleradiology services. I personally still believe in the model of national groups providing great on-site service, but the fit must be right. This requires and honest evaluation on the behalf of both parties prior to establishing a contractual agreement.